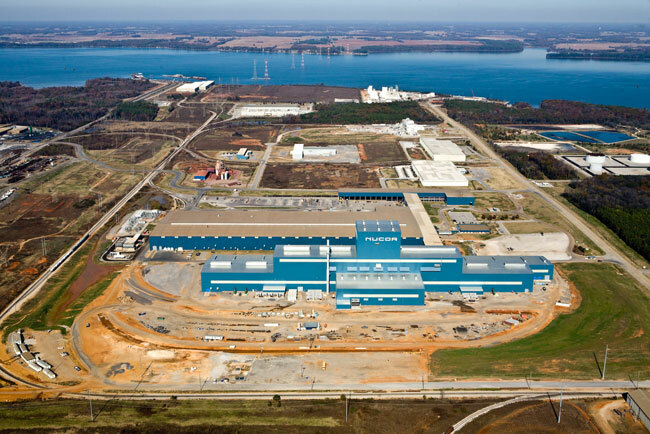 PWM performed civil engineering and surveying for Nucor during the design and construction of a new 58 acre plant in Decatur, AL. Our scope performed included site grading and drainage plans, roadways, heavy haul roadway for steel transport vehicles, design of railroad facilities, and design of stormwater detention facilities, site utility design, topographic mapping, construction layout and staking for multi-million dollar plant. PWM was also responsible for all horizontal and vertical control of the site construction including over 1200 piling that were driven at the site. This project was a fastrac approach with multiple bid packages being prepared to accomplish the project schedule.